A genius or giant brings a big handicap. Reverential regard obscures the real work. 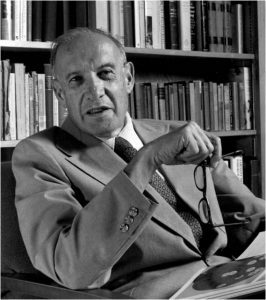 In this series, we take one Peter Drucker quote or excerpt and seek to understand it. On the face of it, this is an almost plebeian observation. We have all got fed up with bureaucratic procedures or red-tape and railed against how complex and convoluted the whole damn thing is. However that’s just the easier surface-level reality that this Drucker quote speaks to. In the name of improving productivity, incentives are created that make people stop contributing elsewhere. In the name of appraising performance, people spend more time logging in sundry details. In the name of engaging people, team members search for good things to say to each other in public and struggle. Incentives skew the direction of effort and the allocation of time. Before incentives, I had time to help my colleague structure a work-proposal. After incentives, I want to maximise what I can earn. Teamwork and collaboration dips. In the name of enhancing that, lo and behold, a team-building workshop will be on the cards in a few months time! Performance documentation trumps the real work. To project their contribution in the best possible light, people take great pains to record data. But, all the discretionary effort has gone in data-creation ( a symbol) at the expense of value creation ( the substance). All efforts at employee engagement create additional filters that take people away from experiencing how much their work matters. If the work does not matter, contrary to popular belief, that is an engaging reality – people are alive and energies are simmering to express and then only we can do something about it! When people create an employee engagement program, they may unwittingly create a situation where-in , the real challenge ( work not purposeful in itself/ Mission-purpose not self-evident) is not addressed. Of course, Drucker did not say we stop incentives, appraising or engaging. He cautioned us about unintended consequences and narrow thinking. The road to hell is paved with good intentions. Traffic signals are switched off in the dead of the night – in recognition of the fact that at that time, they make it difficult to get the job done. We also see places where the removal of a signal has vastly improved the flow of traffic. This responsiveness is good management. As a leader, the next time there is talk of doing anything in the name of management, we can use Drucker’s wisdom and ask – is there any chance that by doing this, we are actually making it difficult for people to get their jobs done. And since management is a universal phenomenon, this applies to organisations and events; society and government. Rahul, the significance of the right KPI (Measurements), has always been the key for consistant performance. Then came – recognition of effort, and led to focus on LEAD measures and decrease focus on LAG. Intricate observation captured and penned .I completely resonate with the views – the innate sense of purpose and focus on an activity/task which can display productivity yet at the same time prove counter productive . Really insightful Rahul. Love the way you have shared your thoughts openly. That’s why the art of management is not so easy as it may seem. Thank you, Ajay. The insight is Druckers. Expressing it as clearly as I can..